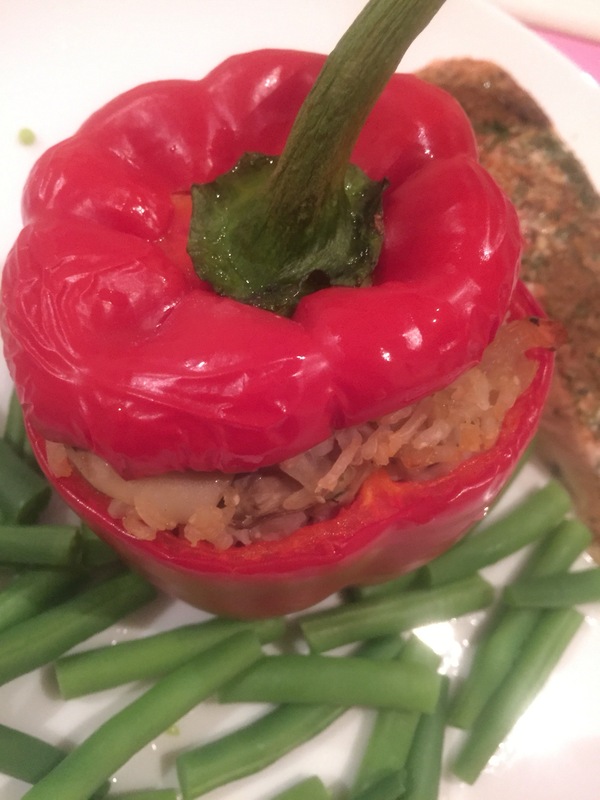 I’ve been sceptical of stuffed peppers for many a year, fearing I’d be branded a vegetarian for daring to tuck into one. 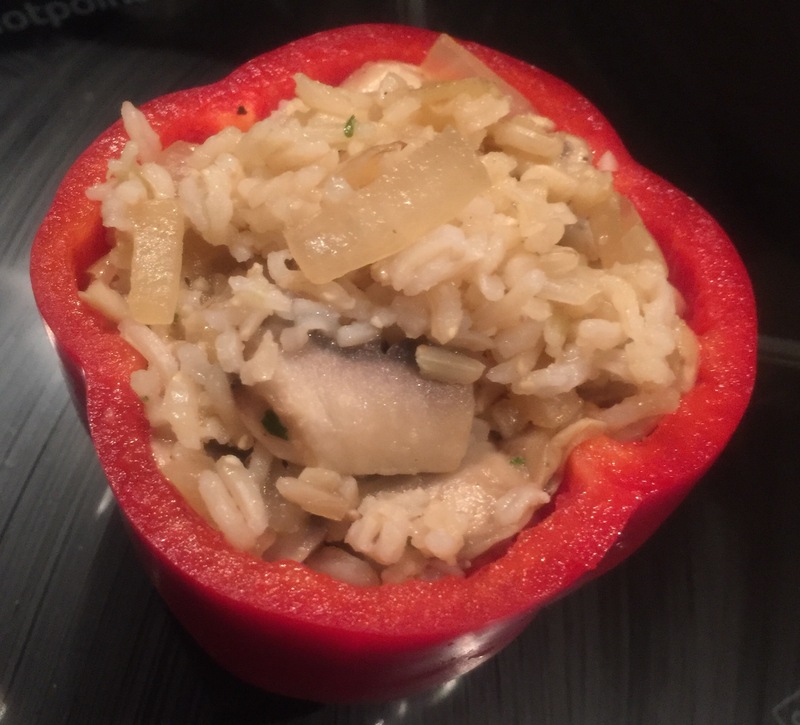 As part of my new year’s resolutions, I vowed to get more adventurous with food and so stuffed peppers became my first experiment (only to find that Charles had done the same thing 2 days before). 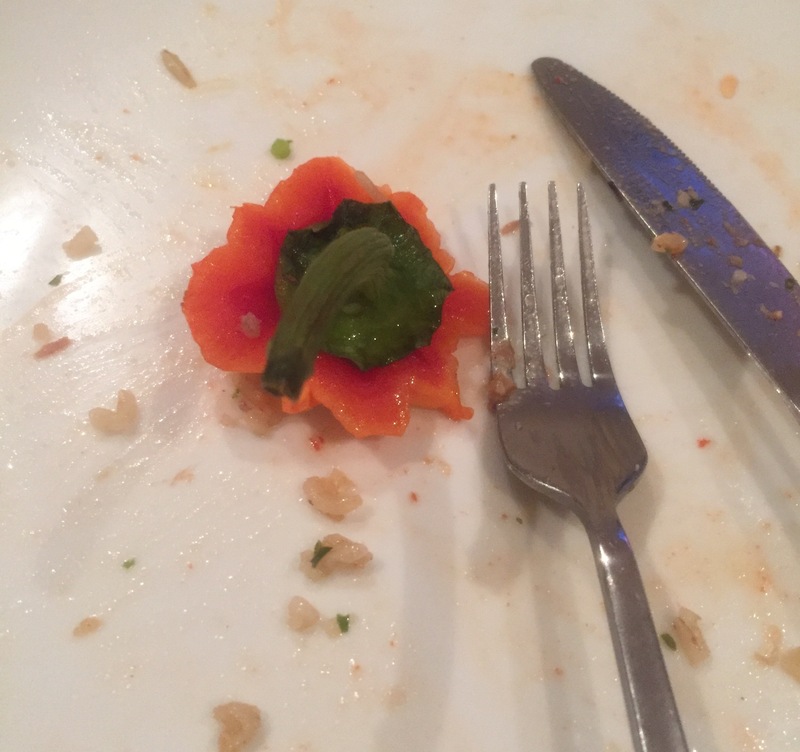 I was pleasantly surprised, so here’s one way to make them. 1. 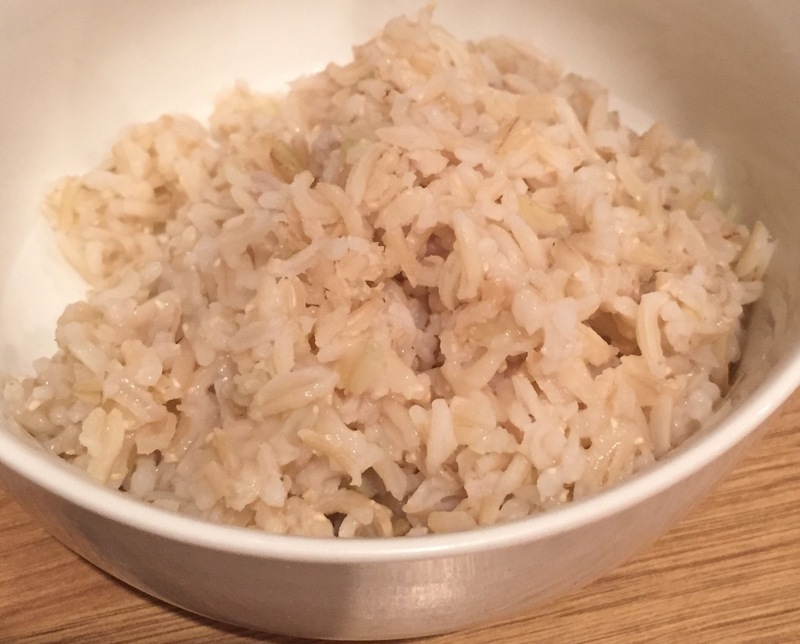 Get the brown rice on to cook first in some salted water, as it will take around 20 minutes to cook. 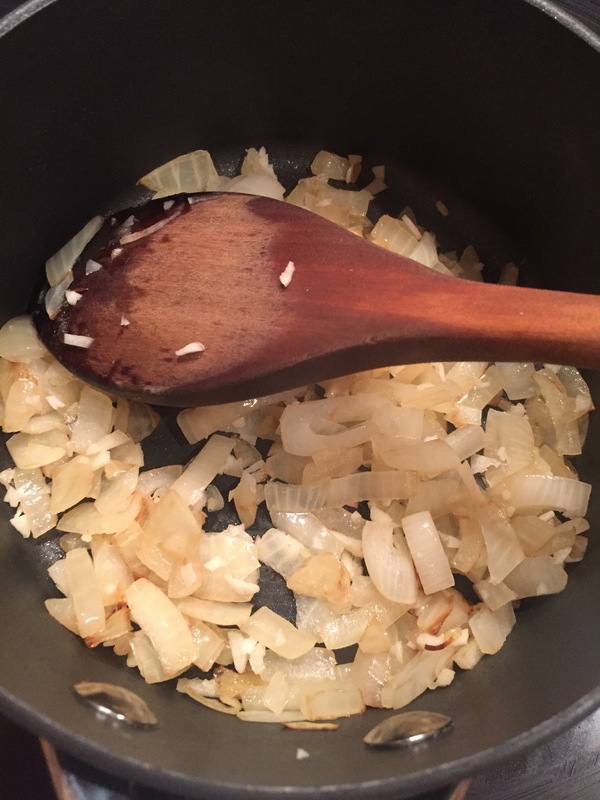 Finely chop the onion and mince or grate the garlic. Preheat the oven to 180c. 3. 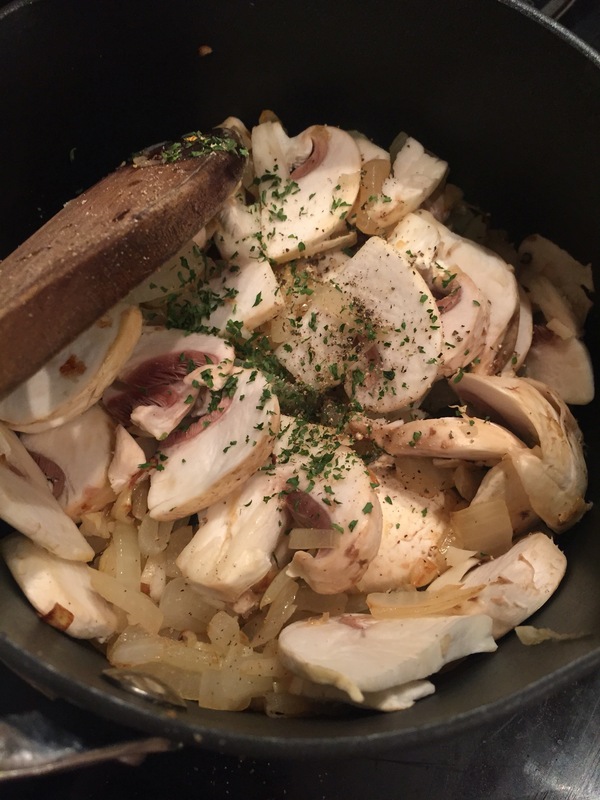 Melt the butter in a medium saucepan, turn the heat up a little and throw in the onion and garlic. 4. 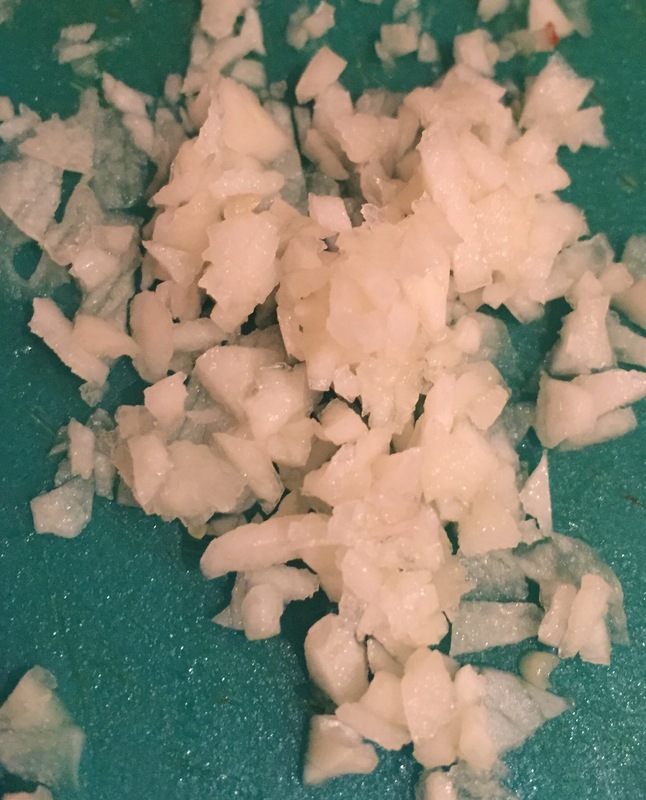 Cook out the onion until browning and translucent, but don’t turn the heat up too high or you might burn the garlic. 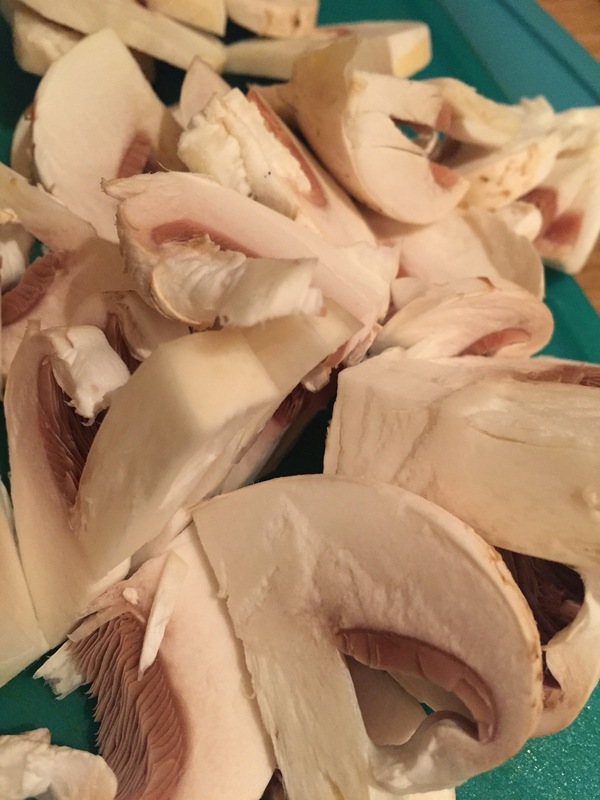 Add the mushrooms, seasoning and herbs and cook out until the mushrooms are just cooked (they’ll get more cooking in the oven). 5. When the rice is tender, drain it and place it into a bowl. 6. 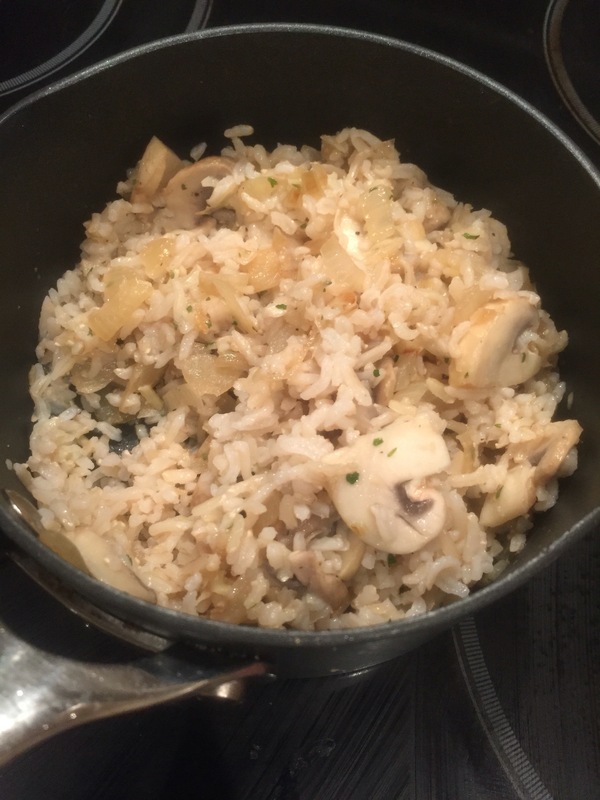 Mix the onions and mushrooms into the rice. Check the seasoning and adjust as necessary – this should be really tasty and moreish if the balance is right. 7. 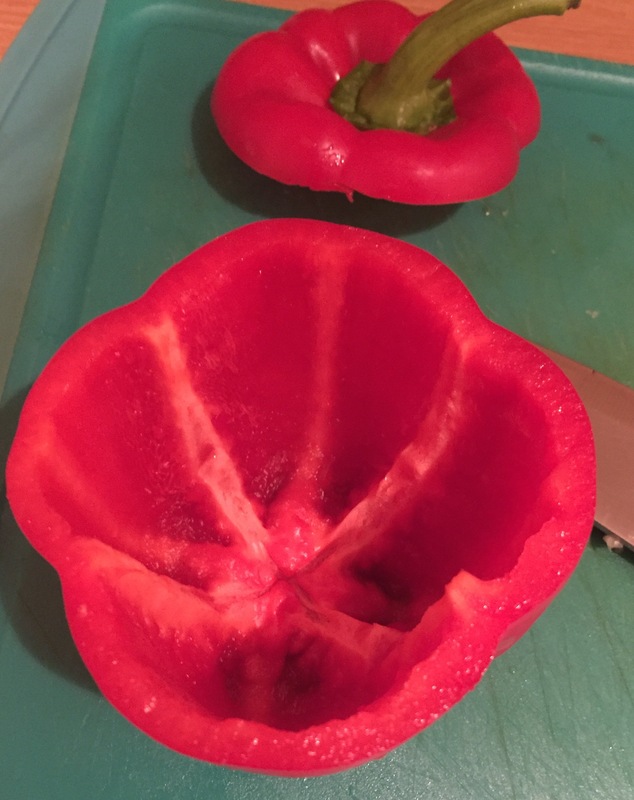 There are many ways to stuff peppers – some people half the pepper and fill it up, which would be a great accompaniment to a heavier meal, but I wanted this to be the star of the show so I serves up a whole one by neatly slicing the top off and removing all the seeds and sinew from inside, giving me this lovely edible bowl. 8. Add the filling, squashing as much in as you’d like, but remembering you need to get the top on. Use a form to push it right down into the corners. 9. Pop it on some tin foil on a baking tray, drizzle with some oil and put in the oven at 180c fan for 25-30 mins depending if you like your pepper crispy – don’t roast it for too long though as it could become too soft and collapse! 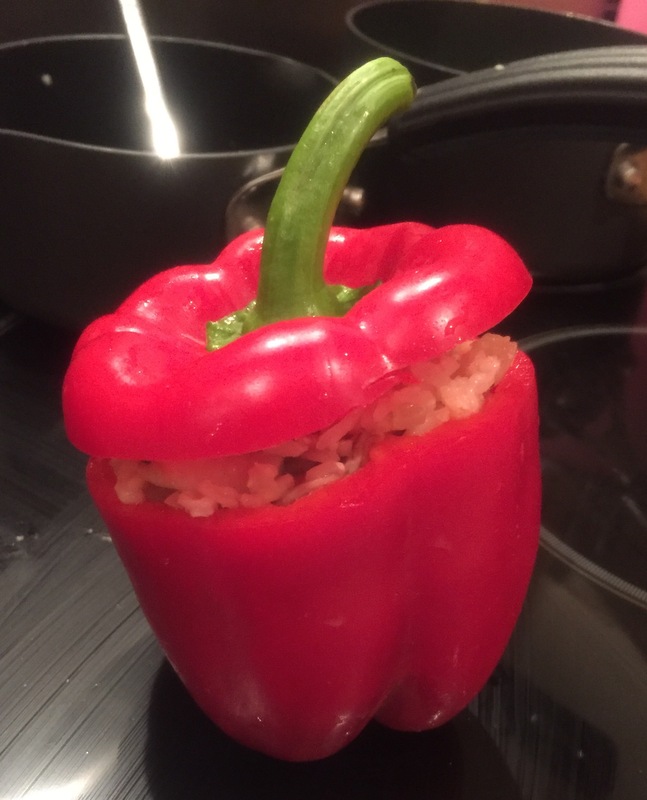 Exploding peppers! 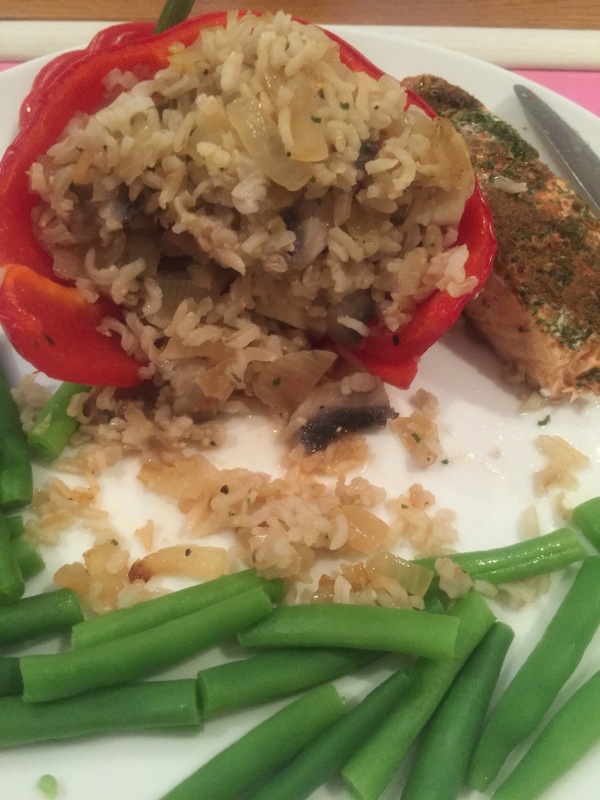 I served mine with a piece of salmon and some green beans for a delicious, filling, (relatively) healthy meal – you could swap out the oil for butter, but I much prefer butter with mushrooms! 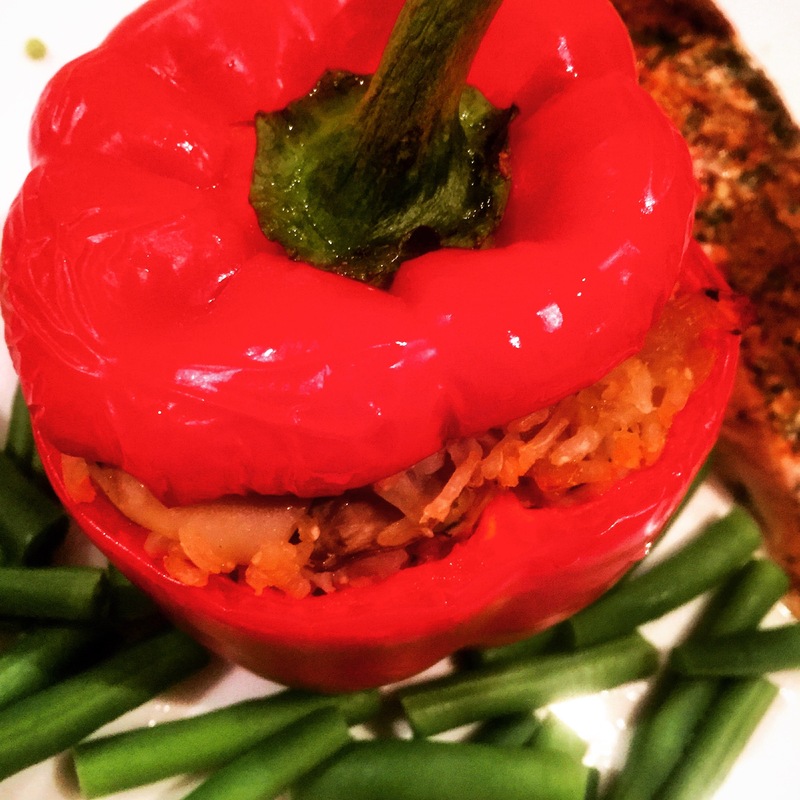 Hopefully we’ll be sharing some alternative ways to stuff peppers in the future – Charles has his filled with spicy cous cous! Let us know what you think, and remember to sign-up to our mailing list!